Let it snow, let it snow, let it snow! 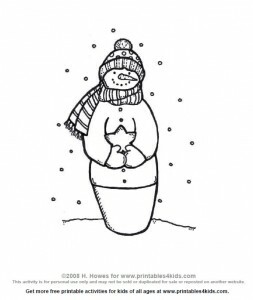 Color this adorable snowman coloring sheet and then make it into a card, place holder or just hang it on the refrigerator. Click on image to view and print full size or download the Snowman Coloring page as a PDF file.